FOR WANT OF MY FUTURE MY CHILDHOOD WAS LOST: ISSUES WITH MY MIS-EDUCATION (1) | Thoughts of a Calabarboy. 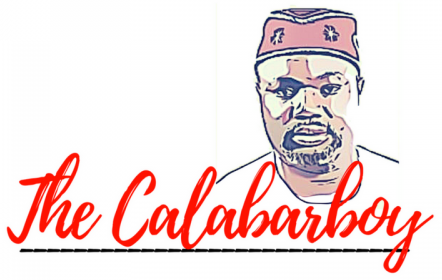 FOR WANT OF MY FUTURE MY CHILDHOOD WAS LOST: ISSUES WITH MY MIS-EDUCATION (1) – Thoughts of a Calabarboy. When Shakespeare penned this down, he probably didn’t realize how perfectly fitted this sestet would be to describe some of the contemporary issues surrounding the process of education in much of today’s world. Unbeknownst to him, he was ordained a poetic prophet to a certain time; a time whose vagaries may have been too complex to comprehend at his time. Consequently, this poem has given me a historical frame through which I can share my thoughts on how mis-educated I feel today. Now by ‘mis-education’ I do not mean the same thing as being uneducated. But I am speaking of a concept that encapsulates a whole process of wrong applications of the mind over time that result in a mediocre performance on life’s stage. At this stage of my life, when finding satisfaction in whatever I lay my hands to do is more than a wish, but a need, I find that I am less qualified to really get a hold of that life I so want for myself. How did this ever happen to me even after I went through formal education and doing very well at it for that matter? Let me peel off a little the covering of age and step back to my childhood. As far as I can remember, the only thing that kept me alive and excited where the moments I could spin a story, write the story, or sketch something on paper. I would literally subject my brother to acting out a full movie, whose script was flowing from my head as the scenes are acted out. The Plot? All in my head. The Setting? The living room beside the old couch. The Characters? The index and middle fingers of four tender hands; two of mine and two of my brothers’. I could do full action movies, or local content drama. For this reason we loved our Saturdays, especially when mom was away and cousin was playing. When I am not acting, I am drawing or writing a story as my imaginations propel me to. I remember writing a story of which the setting was a place I named Anka. Many years later, to my utter surprise, I was posted for my National Youth Service to a place called Anka. Talk about imaginations coming true. My brother on the other hand was fascinated with buildings and their designs as well as sports. He had a notebook where he fantasized on the houses he would build and how he would design them. As little as age eight, he was already measuring the length of the living rooms and the bedroom and imagining how much space he will need for a dining room or where the pool table will stay. Sadly today, we have lived none of those passionate moments of our childhood and barely does anything about us today point to the active creativity(s) of that time. The real trouble is that we really couldn’t swallow everything all at once, so something was sacrificed. School took precedence and every investment from mom and dad directed us towards the formalized and institutionalized methods of education. We both rebelled at some point in the process. My brother stabbed school for the Calabar stadium, while I stabbed it for the State Library and the Cultural Centre in Calabar, Nigeria. The only reason we cooled off and “came back to our senses” was the inability to tolerate the insult of having our peers do better in school, and having their parents brag before ours. Yes we settled into high school and finished well. But we also lost something very dear to us, something we never recovered for the rest of our lives. The most disturbing part is that no one really noticed, not even mom. This really makes me wonder how my life would have turned out if someone noticed what excited me then and encouraged me to pursue those excitements to the fullest. Would I have become a great storyteller, or writer, or artiste, and my brother a great architect or sportsman today? We can’t tell. B one thing I am sure of is that I would have been heck a lot better at my childhood passion today. So in school I picked up a different personality; a person who was pretty strange and adept at exhibiting high forms of affectation. I created a new me that literally struggled to keep me within the defined limits of social norms and standards. I carried a new picture of the future and juiced some new dreams from my ebbing mind just to feel comfortable and assimilated into the community around me. In doing this, I conformed quickly to the modalities of getting a life and not far down the road, I was practically good at displaying this new life. School showed me the things I needed to do to become successful. It wasn’t really different from what mom had told me, or what the television projected, and what the teachers sang each day in class. However, no one told me the things I needed to do to be fulfilled in life. Successful meant having a comfortable life and not falling prey to poverty as is explained by this statement: “You have to become somebody in life.” As I grew up, my dad gave me several reasons why I should pursue a degree a professional course. Some careers were professional, while others weren’t. Accountants, Lawyers, Doctors, Engineers, Teachers and Journalists were the dominant professions. All others were just funny careers that had a narrow path for progress. I rebelled again and later went and studied International Relations, convincing myself on why I wanted to become a career diplomat. But I have only recently taken a serious look at my life and asked hard questions. What exactly will give me the greatest satisfaction? Initially I answered the question factoring in the need to survive (which of course is a realistic matter to consider), and came up with something that satisfied both ends. But in truth, I find that my answer arose from the deep-seated fear of survival. I had to ask again and demanded that I answer the question without any extraneous variable impacting on my answer. Truthfully, my answer will surely put me potentially on the path of poverty because no one will really want to pay you for doing that. So here I am, torn between my satisfaction and my survival. Suddenly, Maslow’s Hierarchy of Needs, which I was taught in school, takes a hold of me and this theory seems to be play out forcefully on my decisions for the future. So I assume for now that until I come to the place where I choose to do that which gives me the greatest joy without the fear of tomorrow, I am yet a failure. So what caused my great failure? Maybe mom and dad played a key role, but school was my greatest enemy. It never found out about me but simply set out the rules and forced me to play or be slain. It gave me tutors that were themselves earning a living at telling me what is required to become something in future, and showing me the path of destruction if I don’t comply. It ranked me based on my capacity to regurgitate everything I had been given in notes and long lectures, while also segregating me based on how well I use the right or left brain hemispheres. Alas! I came forth learning to play by the set rules and never to make my own. I came forth an industrialized design, robotized and manipulated to fit the needs of the system without a single attention to my uniqueness and what difference I brought to life. No one has apologized to me for stealing away something precious; my great treasure, which I still miss and think about everyday. Now the rest of my life is dedicated to reclaiming my lost childhood, for there lies my true joy and fulfillment. I set that course in the second part of this muse. ← Sir Ken Robinson and the Mis-Education of Calabarboy. I wish I was well grounded on this issue to give a yes or no answer. I have asked myself this question once or twice but society wouldn’t let me think far enough. But, I have given myself a personal re-definition of success…and constantly reminded my person of that definition. School has fallen into it, but I am tempted to believe that it is a means to an end. I am thankful for these set rules but they have only helped me realise that I am capable of creating my own rules. Where mine and society’s clash, well all the better for us! Sigh! Its weird cos this is exactly wt am going through rite now. Am asking myself this same HARD Q. My answer, i am definately torn between survival n satisfaction. Hopefully in survival, i will find satisfaction. Great piece Reg. Waiting 4 d 2nd Part!!! True say Reg! I feel school is not totally to blame on this. It would be difficult for schools to train and direct each child according to their own dreams and goals in life. Parents and society play a bigger role. Our parents often push us towards the path of survival rather than satisfaction. The environment we grow up in also influence our decisions. As a child I loved creating things such as birthday cards etc. I also loved drawing but I could never tell my parents I wanted to be an artist. Their response would be “you cannot earn a decent living on that”. I also shunned art subjects at school because I had been made to think that art was for the ‘unintelligent’ ones and I did not want be part of that even though my heart craved it. I even tried ‘intelligent art’ as I call it – Technical Drawing and enjoyed drawing in biology classes. I look back now and I wish I followed my heart because as always, art is where my heart is. Like you I feel somewhat “less qualified to really get a hold of that life I so want for myself” but I also think its never too late to find satisfaction in what we do. Hopefully, I’ll find survival on the same path. Great response Ebele…exactly my thoughts. The issue now is that we are so deep within the existing structure that any attempt to alter it will be deemed madness. However, even in our personal lives we have seen that most of us are damn frustrated with what we do. So we have to be the change we want to see by following our heart and giving everything to it. It will be the greatest investment you can make in your life. We have spent more time doing what the system demands and it has not compensated our true satisfaction. This is a big shame! Anyways, I have part 2 to conclude with!